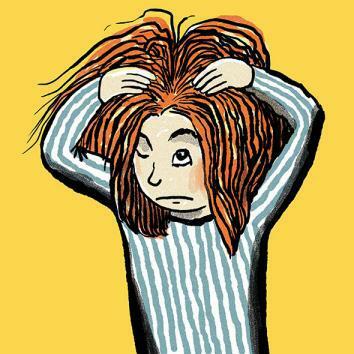 Lice in school: Let ’em stay. Got Lice? Come On In. My kids’ school lets students with head lice stay in class. What a great policy! If you’re a parent, you’ve probably gotten the dreaded call from the school nurse, letting you know that your child has lice. It happened to our older daughter in kindergarten, and then again two years later when our youngest was in the same grade. Each head lice infestation was a mini nightmare: a work and school day lost to early pickup, chemical shampoos, vacuuming, and endless combing for nits (eggs). The days after, spent worrying that a stray louse might mean another call from the nurse and another day out of school. And that call always came: Your daughter has lice again. She’ll be waiting for you in the office. Last year we spent a couple hundred dollars on a professional lice remover, just because we could no longer face the hours every night we needed to spend nit-picking. Our experience was not uncommon (though not everyone is crazy enough to call Lice Happens’ 24-hour “LiceLine”). At many schools, any discovery of live lice in a child’s hair warrants a phone call and the immediate removal of the child from school. At some schools, the child may return the next day if the parents have treated the child’s hair—that is, shampooed it to kill live lice. But in schools with “no-nit” policies, a child can’t return unless every last tiny louse egg has been combed from her hair—and schools may check returning students and send them home if any nits are found. When I told friends in other school districts about the shift in our school’s lice plan, their jaws dropped. That’s amazing, they said. Finally, they said. And, How can I persuade my school to do the same thing? But my friends are gross, so you may, understandably, have a different reaction to this news. Like, Ew, a school is letting a bunch of bug-covered, itchy kids rub heads in the classroom? Sorry, your response is wrong. Arlington’s new stance on lice is being adopted by schools all over the country, encouraged by the American Academy of Pediatrics and the National Association of School Nurses. And it’s the right one. Lice are not particularly contagious, they hurt basically no one, and they’re not a public health risk. Lice don’t actually matter. It’s high time that squeamish parents and school administrators stop acting like they do. Sometimes these policy decisions go through the school board. “I don’t want to disparage school boards,” said Frankowski. “But they don’t always make policy connected to what’s scientific—sometimes it’s just what’s easiest, or what they think parents want.” So you need to convince your school board that what parents want is a policy based on science, on expert recommendations, and on making life saner for busy parents. That’s what I often found myself muttering in years past, as my wife and I spent work days and weeknights washing and combing and washing and combing the heads of perfectly healthy children. In an educational environment in which intervention is the default, a message from a school district announcing that its new policy is for everyone to just relax is extremely welcome. My kids need to be in school to learn, and to play with their friends, and to build their bright futures, and to stay out of my hair. I don’t need them sent home because of the harmless things crawling in theirs.